The police cited congested roads and communally sensitive areas that fall enroute as the reason. 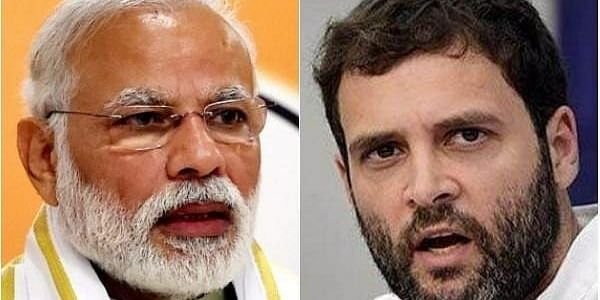 AHMEDABAD: The roadshows of Prime Minister Narendra Modi and Congress president-elect Rahul Gandhi here tomorrow, the last day of the campaigning for Gujarat polls, stood cancelled after the Ahmedabad Police today denied permission for the events. The police cited congested roads and communally sensitive areas that fall enroute as the reason. The move comes in the backdrop of inputs gathered by central intelligence agencies that a "lone wolf" may try to target roadshows of "big political leaders" during the campaigning for the upcoming elections. However, Ahmedabad Police Commissioner A K Singh denied permission to both the parties, citing reasons of traffic congestion and some main markets and old city areas, which are communally sensitive and have narrow roads, falling on the routes of the roadshows, he said. The Congress confirmed that it had sought permission for Gandhi's roadshow and corner meetings. The BJP, which earlier today did not name the party leader who would have taken out the roadshow, later said it was the prime minister's event. "We will adhere to the decision taken by the administration and the programme stands cancelled," Congress spokesperson Randeep Surjewalal told PTI. He said Gandhi was not facing any security threat in Gujarat. "As far as Gandhi is concerned, he is not facing any security threat as conceived by the Gujarat Police. The kind of affection he has got in Gujarat is unsurmountable," he said. Surjewala said since Modiji is a "big person", the police maybe concerned about his security. Meanwhile, officials said in Delhi that based on intelligence inputs and interrogation reports of two arrested suspected terrorists, the agencies have alerted the Gujarat Police that a "lone wolf" may try to carry out attacks on roadshows of top political leaders and there is a need to take maximum precaution, a senior government official said. However, it is not known if the Ahmedabad Police's decision to deny permission was related to the intelligence inputs.